This stuff is crack. Oh Nutella, how I love thee. Just when I thought peanut butter was my best friend, you come around to remind me just how good you are. I know, I know... 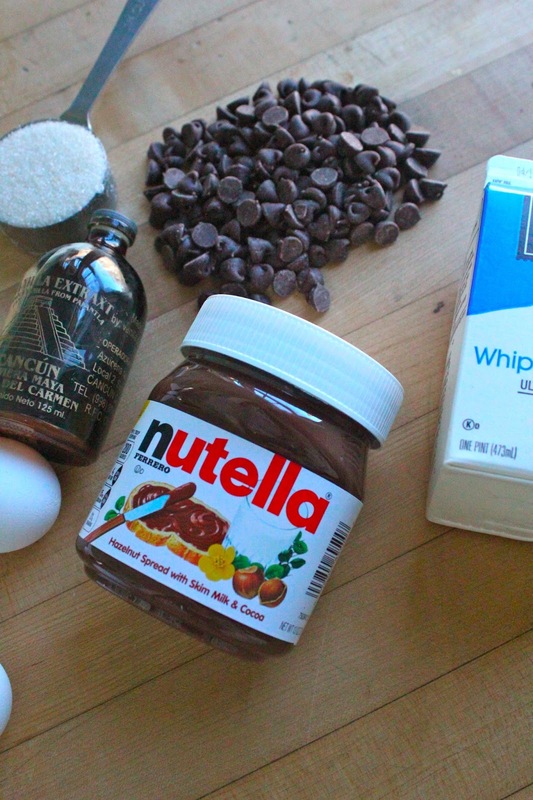 I always say I'm not a dessert person, but Nutella desserts are beyond resistance for me. I had the ladies over for Oscar night and had to make something chocolatey and luscious. Nutella indulgence whilst judging the outfits of others? Count me in! Anne Hathaway what on earth were you thinking? 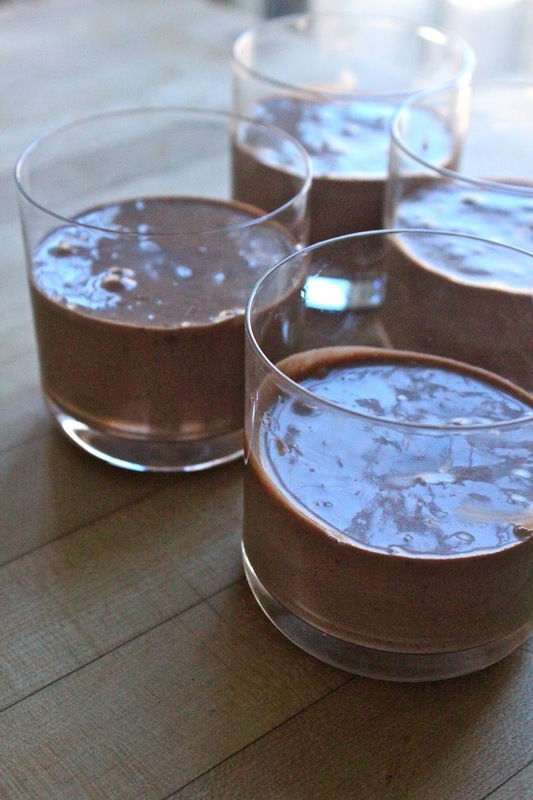 This mousse is rich in flavor, but manages to stay light in texture. As a pudding, it's easy to make ahead too. I was just hanging with my besties, so I kept it casual in lowball glasses, but you could definitely class it up by serving in Champagne flutes or martini glasses. Chocolate and Nutella are definitely the stars of this dessert, with cream, eggs, sugar and vanilla bringing it all together. You'll need to separate eggs for this one, since each component plays an important -- and very different role. The yolks will thicken the chocolate mixture and give it body, and the beaten whites will then fluff it up. Melting chocolate is as simple as popping a metal bowl over a pot of simmering water. 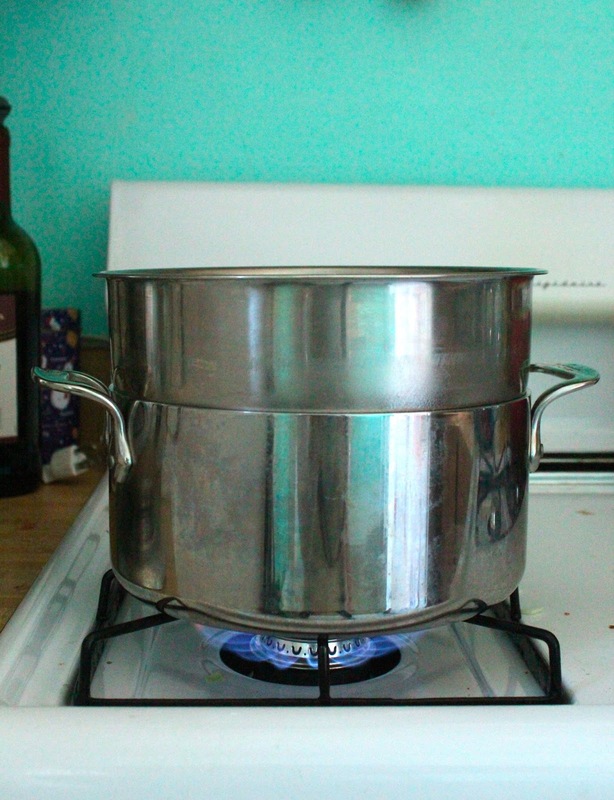 No need for a fancy double boiler pot. Just don't use it glass bowl... it will crack. Butter, chocolate and Nutella will start coming together over the simmering, moist heat. Just keep things moving in the bowl to avoid burning. Off the heat, you'll add the egg yolks and whisk vigorously to combine. This mixture will be very thick and may even appear dry. In a separate bowl, you'll beat the egg whites into stiff peaks. See how the below point holds its shape? That's how you know you have a stiff peak (that's what she said... couldn't resist). Separate from the egg whites, you'll also whip the cream to soft peaks, meaning the top of the peak with lop over rather than stand up. Once the egg whites and cream are whipped into shape, you'll combine with the chocolate mixture. To ensure the chocolate doesn't deflate the eggs, add just a few tablespoons to loosen it up. Then you'll fold in the rest egg whites, followed by the cream. Fold just until combined and be sure to taste to make sure things taste okay. It is your duty as a maker of dessert. Spoon into the cups of your choice and inevitably make a mess of your kitchen whilst doing so. Refrigerate for a spell and enjoy with your girls. Contemplate how on earth she could have chosen THAT dress. Oy! Fill a pot with about one inch of water and bring to a boil, reduce to a simmer. Cover pot with a metal bowl and add Nutella, butter and chocolate. Stir until just before melted. 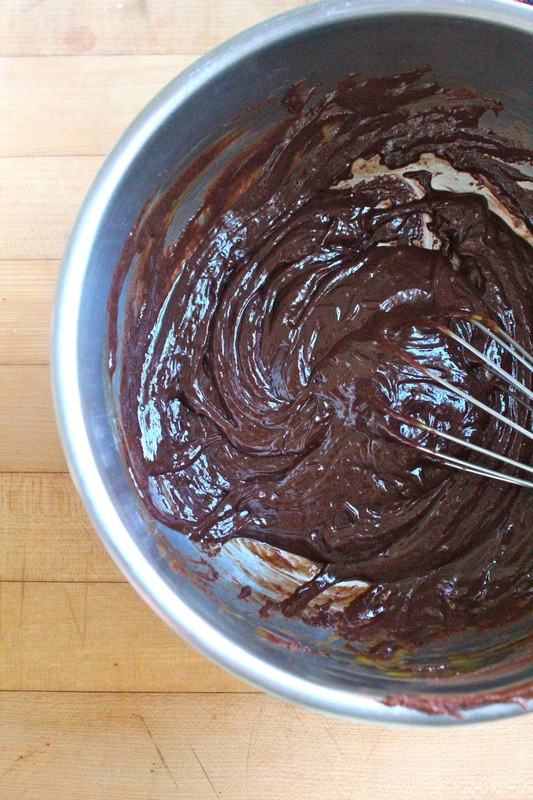 Remove from heat and stir vigorously until chocolate is fully melted, then add egg yolks one at a time. In a separate bowl, use an electric mixer to beat half the sugar with the egg whites to stiff peaks. In another bowl, beat cream, remaining sugar and vanilla to soft peaks. 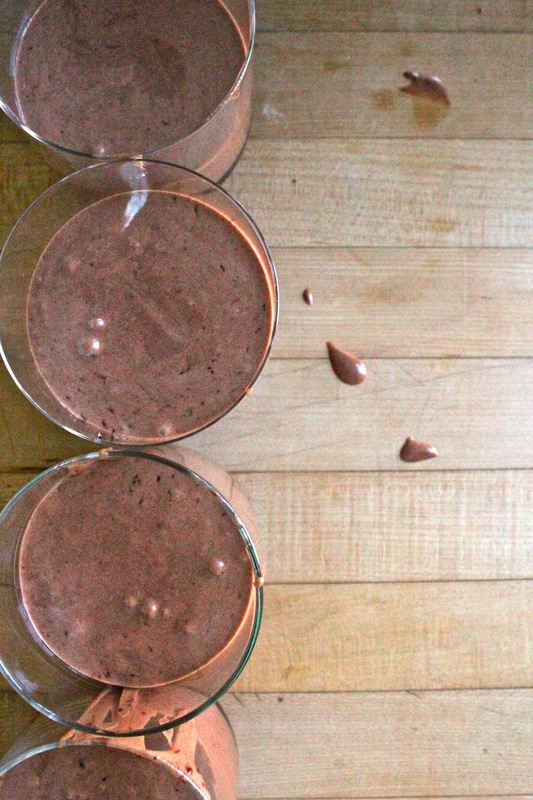 Stir a few tablespoons of egg white into chocolate, just until loosened. 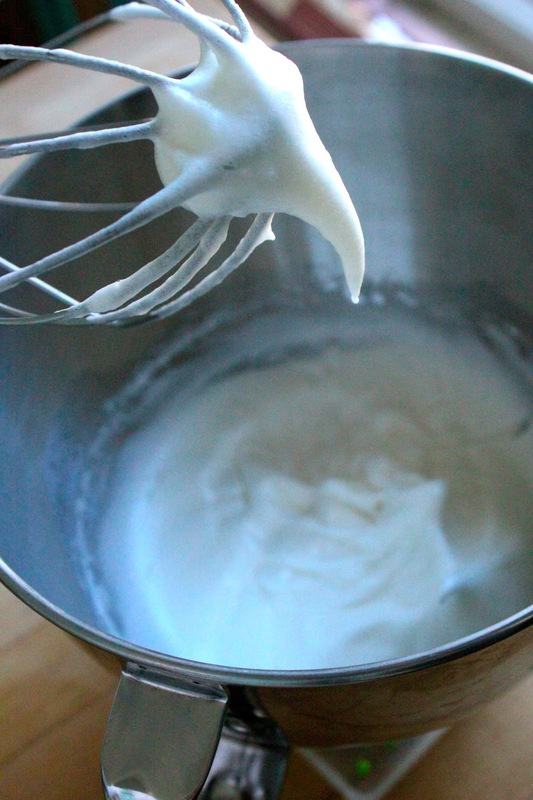 Fold in remaining egg whites, just until combined, then fold in whipped cream. Spoon into serving glasses and refrigerate at least an hour or two before serving. Oh yum. This sounds AMAZING.